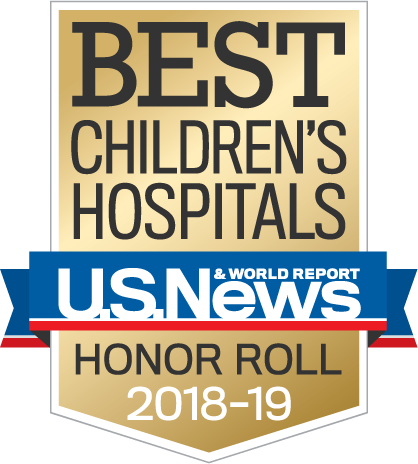 If your child is being referred to CHLA for care, you can take comfort in our reputation as a provider of pediatric care that is among the highest quality and safest in the nation. Every member of our staff is well-versed and dedicated to the treatment of childhood injury and illness. You are the expert on your child's health. We partner with you as a parent to ensure that your child receives the very best care, both at the bedside, and after you return home. 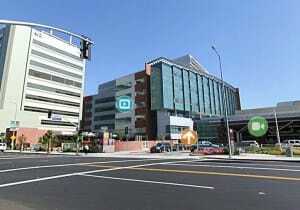 Children’s Hospital Los Angeles is one of America's premier teaching hospitals, affiliated with the Keck School of Medicine of the University of Southern California (USC). This gives us the opportunity to pair award-winning compassionate care with a time-tested model comprehensive approach to care that consistently delivers the best health outcomes. Children who visit our hospital and clinics are often seen by multiple clinical experts. Your child will often be seen first by a fellow, a doctor who has completed three or more years of clinical residency training. The fellow is partnered closely with doctors at our hospital for additional training to gain special expertise. Next, one of our staff doctors sees your child after being briefed by the fellow about his or her findings. Depending on the department or division your child is seen in, a resident physician and sometimes a medical student may also see your child before the staff doctor arrives. Although this approach to care may take a little longer, working together as a team results in the best care for your child, combining the knowledge base of multiple clinicians. CHLA is a national leader in pediatric research. Our researchers and physician-researchers are dedicated to constantly improving patient care by bringing the best ideas from research labs to clinic and hospital rooms, advancing diagnosis and treatment options for children. Millions of dollars of research funding from across the nation is dedicated each year to saving the lives of children by finding better treatments and new cures. Every aspect of our hospital is designed with the care of children in mind. This means that elements of our care, including devices and supplies, are all just the right size for the care of your child, but it also means that we have actively planned and designed for the integration of family members and loved ones as part of a child's recovery. From baby-sized blood pressure cuffs and diapers for preemies, to our special brand of family-centered care, our hospital is just the right size for the care of your infant, child or adolescent. 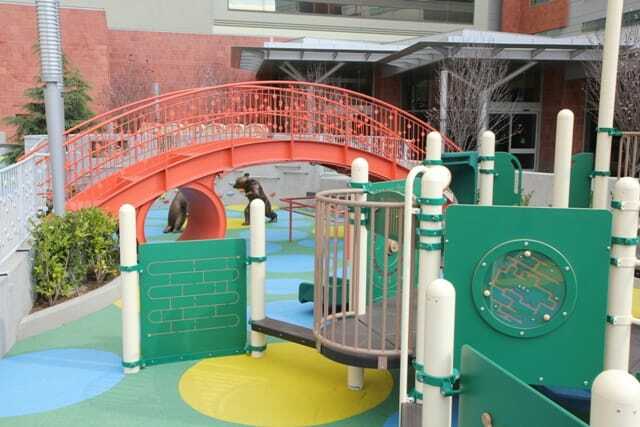 Natural light, a special universally-accessible playground and gardens are all designed to promote the health and healing of patients. Plants and trees in the garden were chosen for their low-allergen qualities. A seed planting area is used for patients who need to develop their fine motor skills. A maze in the middle of the garden has been designed with uneven stones to help children who are relearning how to walk or are honing their balance skills. Tiles painted by patients are integrated into the garden walls. Patient poetry graces the benches. Electrical outlets suitable for intravenous poles have been integrated throughout the garden so that all children who are able to enjoy the garden are able to do so. Along with a grass area for children to play and explore, the gardens incorporate several bench areas where families can enjoy a picnic outside. Staff often take their lunch outdoors to enjoy the bright Los Angeles sunshine, or enjoy a quick break with their fellow colleagues outside before attending to their next patient.